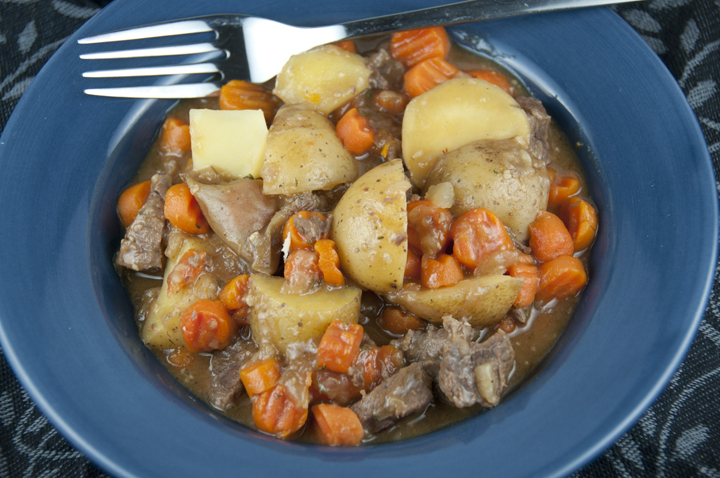 A wonderful beef stew recipe featuring a hearty sauce flavored with Guinness. Perfect for St. Patrick’s Day and the best beef stew I’ve ever tasted! Happy Monday! I am really feeling that one hour of lost sleep. Anybody else? But I would willingly sacrifice an hour of sleep and an hour of my day for that extra hour of daylight….totally worth it, in my opinion! It makes such a difference and gives me an extra hour that I can photograph my food in natural light (things only a food blogger would think about). This absolutely delicious recipe for Guinness beef stew is very easy to follow and the meat browns so beautifully. I was a little afraid that there would be a strong beer taste, but there wasn’t! Mr. Wishes despises all beer and he ate this up and even had leftovers for lunch the next day. So rest assured that the Guinness is just there for added flavor and to help with the rich gravy/sauce, but does not have a beer taste once the liquid cooks down and the sauce is reduced. Irish stew is always a good comfort food and fabulous on these (still) cold, winter days. 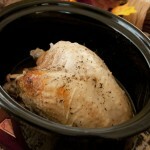 Also, you should know, the flavors develop nicely overnight and it’s maybe even better the next day. I served this with a Guinness beer bread – double Guinness goodness! 🙂 I’ll be posting that recipe later on this week. Enjoy! A wonderful beef stew recipe featuring a hearty sauce flavored with Guinness. Perfect for St. Patrick's Day and the best beef stew I've ever tasted! Adjust an oven rack to the lower-middle position and preheat to 325 degrees F.
Heat the oil in a Dutch oven (or other heavy-bottomed pot) over medium-high heat, add the onions and salt, and cook, stirring occasionally, until well browned, 8 to 10 minutes. Add the tomato paste and garlic and cook for 2 minutes. Stir in the flour and cook for an additional 1 minute. Whisk in the chicken stock, ¾ cup of the Guinness, brown sugar and thyme, scraping up any browned bits on the bottom of the pot. Stir in the potatoes and carrots and continue cooking until the beef and vegetables are tender, about 1 hour, stirring halfway through cooking. Remove the pot from the oven and stir in the remaining ½ cup of Guinness and the parsley. Season with salt and pepper to taste and serve. Note: Do not use Guinness Extra Stout in this recipe, as it is too bitter. Yummm! Love how hearty this looks! 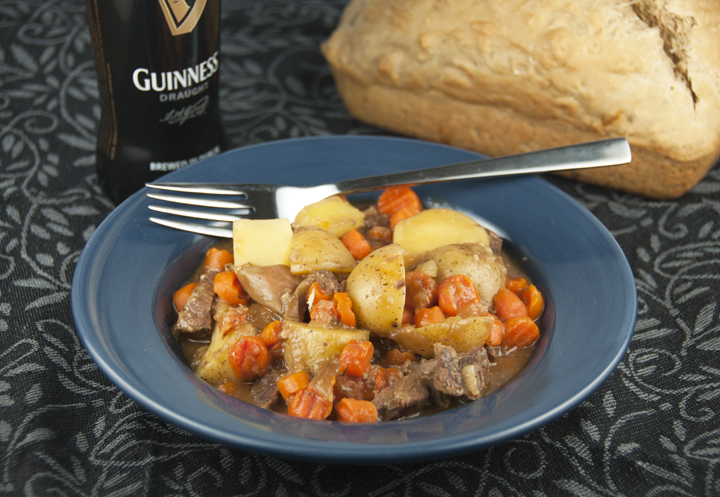 Sounds like I need to buy some Guinness so I can make your bread and this stew! Yes buy some!! It’s so good! Love Guinness stew! Is it lunchtime yet? The whole time change totally threw me off for some reason! It normally doesn’t but this time … I’m feel like such a mess today! haha This stew looks awesome – my husband would love this! I love stew and this sounds delicious with guinness. Now, I’m hungry! Oh wow! How perfect is this for St. Patrick’s Day? 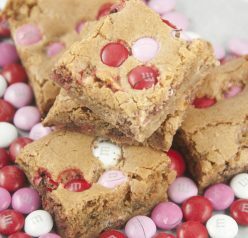 And I love the addition of the Guinness Beer Bread to go with it! Genius! Love! It was a lot of guinness but that’s never a bad thing! Awesome winter stew! Loving how comfy this looks! I just love Guinness. It adds such wonderful flavor. This looks like the perfect comfort food. I’m still adjusting too. I feel like I’m in a different country right now… I could use a big bowl of this delicious beef stew! i just purchased cheapy beef cheek and i guess i;m gonna use this recipe for it! I hope you like it!! Thanks, Dedy! I’ve been waking up late the last two mornings and it’s so unlike me! This really makes me want to grab a Guinness and get cooking – looks divine! I can’t wait to get used to the time change – this is a killer! I so agree – I would rather give up an hour of sleep for an extra hour or two of daylight at the end of the day! Your stew looks and sounds awesome Ashley – I dont like to drink beer, but use it in chili ALL the time! I don’t drink it either but like cooking with it!! Thanks, Shashi! Oh, that extra hour of daylight is so worth it. Love this stew too. It can comfort me during our next blizzard. I’m definitely feeling that missed hour too! This stew looks delicious. I’m loving all the carrots! Delicious! I just made some Guinness beef stew a couple of weekends ago and it was really wonderful! It was very similar to this except I added peas. Your version looks great! Guinness has such great flavor! I don’t often cook with it, but I should. And make this stew! 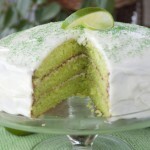 Perfect for St. Pat’s — thanks. It is great to cook with!! Yeay! We just made Guinness Beef Stew also! Awesome!